It was the second appearance by the Vermont -based group in seven months at the very same venue. Maybe they should have waited. Grace herself – one of the most talented and energetic female singers to come out of the United States since a certain Miss Joplin. The passion and voice, something special – something desirable on so many levels. Her band. Tight as the screws which fastened the frames of the foundations of the many females who have come before. Smyth, Hynde and Turner. Three of a numerous crop of infectious and ground-breaking female singers who paved the way for the likes of Potter to captivate an audience. To enlist an army of impersonators such as Lee-La Baum of Montreal’s The Damn Truth. In songs such as ‘Apologies’ and ‘All Over You’ – Potter delivers heartfelt innocence through country-inspired ballads. Songs which seperate her from the pack of Pat Benatars and Deborah Harrys. Bordering on Jewel, Taylor Swift and even Shania Twain – Grace invitingly opens the door to a soul which cries out for love while sending sweet gentle kisses. The Nocturnals – led by guitarists Scott Tournet and Benny Yurco, a perfect backdrop to Potter’s sometimes haunting vocals. Too bad two hours of ballads do not make a show. Upbeat numbers such as ‘Ah Mary’. ‘Medicine’ and ‘ Stop the Bus’ – agonizingly fading into each other like a long drawn -out tooth pull. Too many songs sounding similar which harmfully placed Grace’s voice into a syllable bordering on annoying. In the group’s February appearance – songs such as ‘The Lion The Beast The Beat, interrupted classically by the likes of Neil Young‘s Cinnamon Girl and Jefferson Airplane‘s White Rabbit’. Tunes which gave the opportunity for Potter to display her versatility. Her range. Her passion. Her bluesy, Joplin – esque mystique. 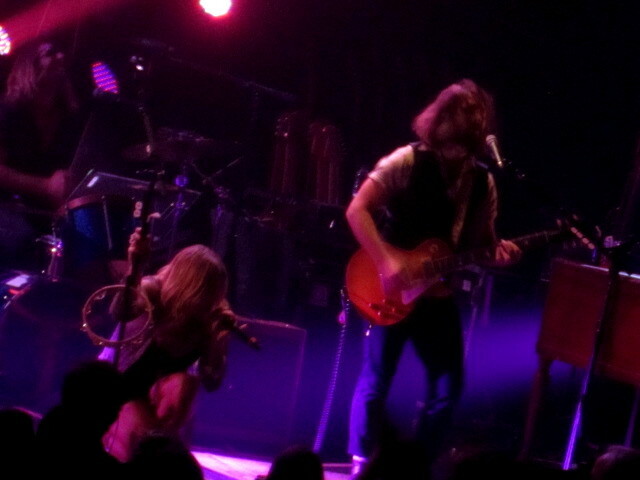 Without that punctuation on Thursday night – Grace Potter and the Nocturnals sentenced the crowd to a mundane event complete with instances of excitement. Like a stripper removing her gloves and placing them back on – Potter and the band teased and never delivered. If not for the courage of ‘Nothing But The Water’ ( parts 1 and 11) and Paris (Ooh La La), the Nocturnal ship would set ground on a deserted island and nobody would bother searching for them. The concert seemed mailed in. Potter’s banter – so fake and shallow, the normally appreciative applause when an artist mentions the ‘home’ country ( Canada – for those taking notes at home), half the decibels of the band’s last appearance. 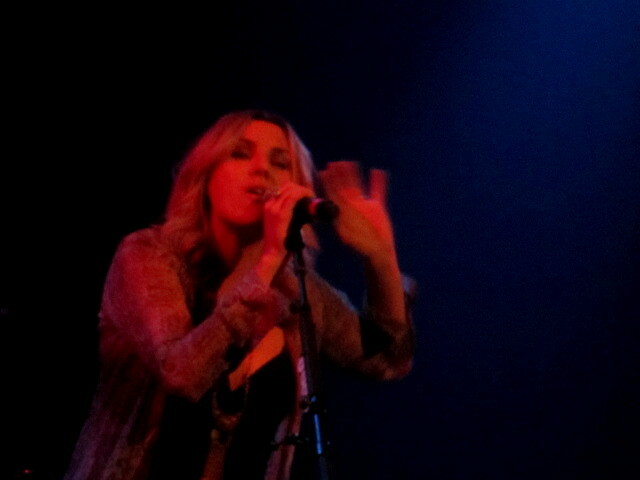 Grace Potter and The Nocturnals were in Montreal last Thursday.